The symptoms of cold are a runny nose with sneezing, nasal congestion, post nasal drip leading to a cough, itchy eyes with tearing and redness and an irritable throat. (If there is fever it becomes a flu symptom). Sometimes the cold is associated with a headache and sore throat. There are several conditions where a rash is associated with cold symptoms in adults. They can be categorized into allergies, viral exanthems (rashes caused by viral infections like measles, rubella, chickenpox, infectious mononucleosis, and other viruses), fungal infections like Coccidiomycosis and Histoplasmosis etc. Below are the allergies of the cold symptoms which will help you identify and give a clear picture for ‘how long does a viral rash last’. Urticaria or allergic rash appears as a way of response by our immune system towards a foreign substance. 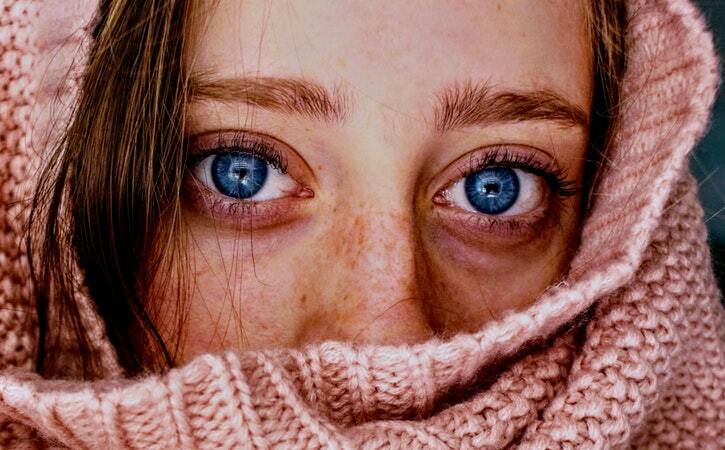 Usually, allergies can be associated with symptoms of the cold. Hives can occur anywhere in the body, commonly face arms, legs, and back. 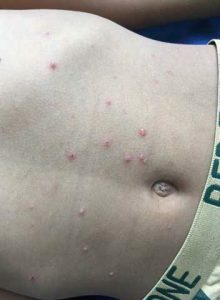 They are itchy red or skin colored raised bumps with a surrounding red halo. When pressed on it, the bump becomes white or pale and when released it gets back to the previous color. These are triggers which act as a foreign body to our immune system leading to the reaction, as an urticarial rash and symptoms of cold like a runny nose, sneezing, watery red eyes etc. Always seek help if the rash and cold symptoms do not respond to OTC medications or worsen with time. Viral infections can give you a rash (viral eruption) as a result of the virus is in the body and not due to an allergic reaction. There is usually no itching. The rash lasts for a few days up to 2 weeks. Apart from cold symptoms there can be associated fever, body aches and loss of appetite. Viral exanthems are red, bumpy, non-itchy spots which can occur anywhere in the body. Due to good vaccination coverage measles is rare nowadays. However, it is a viral exanthem which can occur in non-vaccinated adults and children. The rash starts as red spots on face then becomes blotchy as they appear in crops and some spots become raised. Gradually the rash spreads down to trunk and limbs. The person is quite ill with cold symptoms and high fever. When you look inside the mouth there are small white spots with surrounding red mucosa (inside lining of the mouth) which are called “Koplik’s spots”. Since this is contagious, the patient should be isolated in a properly ventilated room, away from others who are not vaccinated or haven’t had the illness before. This is a viral eruption which gives raised red spots that can appear anywhere in the body and can be associated with cold symptoms. Measles, Mumps and Rubella infections can be prevented by giving MMR vaccine. Chickenpox is an infection caused by the Varicella zoster virus. The rash is itchy and painful with small fluid-filled blisters (vesicles). As it is highly contagious, the patient needs isolation. Chickenpox can be associated with cold symptoms and fever. When blisters are broken, scabs and crusts appear over them and usually heal within 2 weeks. Calamine lotion can be applied over the rash to soothe the area. OTC Acetaminophen (Tylenol) can be taken for pain and fever and an antihistamine like Loratadine/ cetirizine/ fexofenadine or chlorpheniramine can be used to relieve symptoms of cold and itching. The virus is transmitted through saliva thus spread from kissing an infected person and through respiratory droplets by a cough and sneezing. Apart from the rash appearing as red spots (as common to most viral exanthems), there are swollen lymph nodes in the neck and swollen red tonsils along with cold symptoms. Make sure that the dose and frequency of administration are correct and according to the instructions given when using any OTC product. It is a fungal infection occurring in people due to inhalation of fungal spores of Histoplasma capsulatum. It can cause a severe and chronic lung infection in people with weak immune systems. The fungal spores are seen in places where birds and bats commonly inhabit. The infection is associated with cold symptoms, fever, chest pain and joint pains. 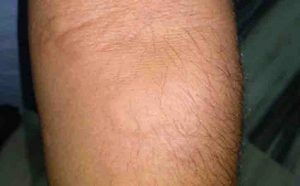 The rash in Histoplasmosis occurs as red bumps, especially on your lower legs. It is best to seek help from a doctor if you experience these symptoms. Infection occurs by inhalation of the fungus. The fungal spores are found in construction sites and farming lands. Coccidioidomycosis is seen in California, Texas, Arizona, Mexico, and South America. It usually affects the lungs, however, when skin is involved it means that the fungal infection is disseminated or widespread in your body. This is likely in people with weak immune systems as in AIDS and Cancer. There are raised spots (papules), large firm bumps (nodules), small pus-filled inflamed lesions (pustules) and even abscesses (large pus-filled lesions) in the skin. Always seek help if you develop such symptoms. Want an understanding on ‘how long does a viral rash last’, download our app and get an instant solution.